Sizes are as follows: Medium (roughly a 38'" chest - neck:15-1/2"), Large (roughly 42" chest - neck:16"); X-Large (roughly 46" chest- neck:17"); 2X (roughly 50" chest - neck 18"; 3X (roughly 54 "chest - neck 22"). All wool colors are based All coats will be made upon request. Coats are made of wool or linen. 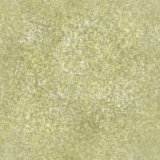 Curren wool shell colors available are Madder Red, Chocolate Brown, Rupert's Blue, Black, Blue/Grey, Bright Blue, Mustard Yellow, Hunter Green, Swedish Grey, Hodden Grey, Walnut Green and Olive Green. Coat shell can also be made out of linen. Usual heavy weight linen colors in stock are Black, Brown, Grey & Blue. I would suggest you email or call to inquiry as to current colors in inventory. If you are unsure of your size, it is suggested that you email or call before ordering, since the sizing of these coats are not the modern dress coat sizes. These coats are based on neck/chest size and you may take a larger size than you think in order to wear it comfortably. Additionally, the fit will also depend on whether you want a wool, fustian lining or linen lining. Also, keep in mind when ordering as there is a 15% restocking fee for returned items not exchanged for another size and return shipping will not be credited or refunded. All coats are made according to the pattern for the conjectural coat on page 24 of Common Soldiers Clothing of the Civil Wars 1639-1646: Volume 1: Infantry . They have the winged shoulders, 2 standing collar, and wood bead buttons. Please specify if you need ties (New Model). 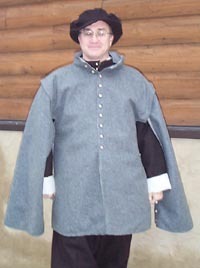 Soldier Coat Linings will be made of Fustian fabric unless otherwise requested. All cassocks are made according to the pattern for Clothes of the Common People in Elizabethan and Stuart Englang by Stuart Press. They are made from two layers of wool and are available in the following shell colors: red, blue, black, brown and white with a pale yellow liner. Colors based on stock on hand and availability. All Workman Cassocks are considered a custom order and will be made upon request. 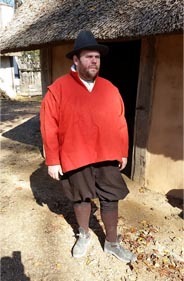 Workman's Cassock can be made with a wool shell and a linen lining. Email or call for prices. All Riding Coats are considered a custom order and will be made upon request.